Friday Favorite with the Fairies! Running with the Fairies, Friends and Princesses! My Princess friends and I stopped somewhere around the Mile 11 mark to grab a quick photo with the Pixie Hollow Fairies...they were just too cute! One of the BEST things about running the Princess Half Marathon at Walt Disney World Resort is being able to run with your Princess friends! I've got a group of at least 20 girls that I run with ... We shop, we laugh, we cry, we play in the parks and we runDisney!!! It is by far one of my most favorite weekends of the year!! 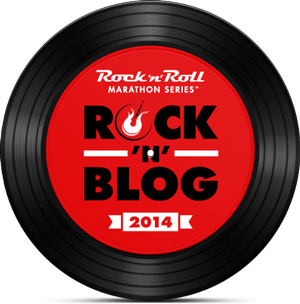 **Are you running runDisney Princess Half Marathon 2014?? 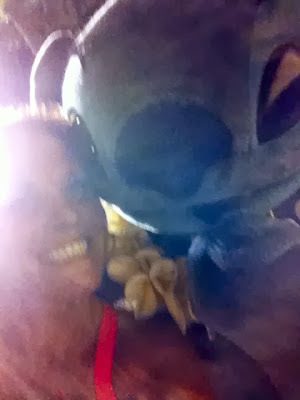 Hanging with Stitch during The Twilight Zone Tower of Terror 10-Miler last year! SO excited to run this race again and Stitch is even on the Finisher's lanyard too!!! Yay!! 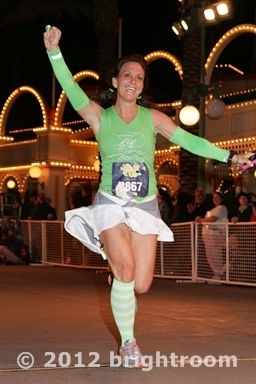 **Are you running during The Twilight Zone Tower of Terror 10-Miler Weekend this year?? 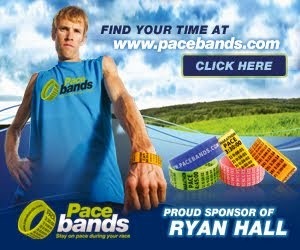 Check out runDisney.com for more information on this race and the Happy Haunted 5k Trail Run. 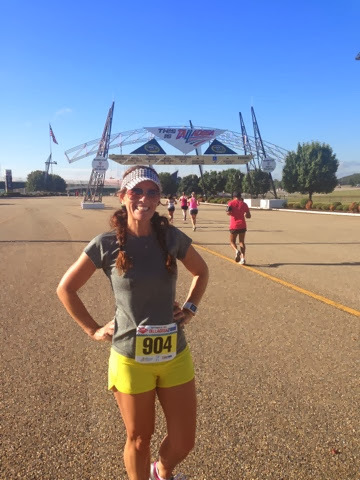 Mile 7 of Talladega Half Marathon! So this was a wake up call for runDisney Dopey Challenge...double runs! I added in a 4th run this week and although it feel s really good to get lots of miles in, it's a tiny little reminder that those long, long runs are in the near future! Luckily for me, I have been able to tweak my full Dopey Challenge Training Plan to work in a few Half Marathons...If I'm going to run 13 or more, might as well get a medal. Right??? That's my theory anyways! Moving on to Week 13 this week...WOW! I can't believe I'm already 13 weeks in. Next week will be a slow warmup to Week 14. LOTS of miles that week! 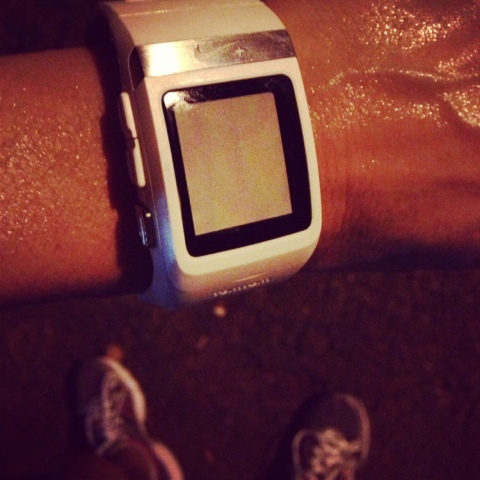 **Are you tweaking your runs to fit your schedule? **Do you have a favorite professional race pic?? runDisney Dopey Challenge Training Plan Update with a sprinkle of NASCAR! On the agenda for Sunday! On any other week before a Half Marathon, I would be slowing it down just a bit. Not this week. In fact, I'm starting Week 12 of my runDisney Walt Disney World Dopey Challenge Training and I'm actually "upping" the mileage. My schedule calls for adding in another day this week. That will make (2) 30-45 minute runs or (2) 3-4 mile runs (which ever comes first) and ending the week with a 13.1 mile run. As I've said before, I'm tweaking the Jeff Galloway plan just a bit to work around my schedule and I'm also not really planning on walking any of the races so I'm trying to run a little slower on the "walk days". I've scheduled to run the Talladega Half Marathon on Sunday. Just me and my running shoes hitting the NASCAR track...YESSSSSS!!! I've ran this race a few times before and I really enjoyed it, so why not get my 13 mile training run in and get a medal too?!?! 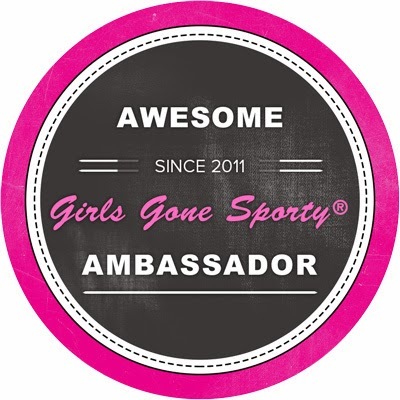 Plus, lots of my running buddies will be there, so it's a no-brainer...Bring on the Nascar Bling!! Week 11 in the books and Week 12 in Progress! *Go here to view my entire Walt Disney World Dopey Challenge Training Plan. As I look back through my zillions of Disney pictures, I'm always thinking.."Oh, I've got to frame that one" or "Oh wait. Now THAT one's my favorite" or "No really. This one is my favorite". The truth of the matter is that I've got WAY too many favorites! I could never pick just one. And honestly, the great thing is, that I don't have to!! So I've decided to pick out a new pic each Friday to share with you here on my blog. These are in no particular order. They are all "Disney related" in one way or another. I have runDisney, Walt Disney World Resort, Disneyland Resort, Disney Cruise Line and Disney at home pictures! Some pictures I like because of the scenery, some pictures have very special meaning to my family, some pictures just simply bring back a flood of memories. First of all this may just be one of my all-time favorite pics EVER. Not just because my babies were so little and so cute but because this is just "my kids". My Lindy always has that really big smile. She liked to wear her hair down but with a matching headband. Alyssa loved wearing anything blue back then, kept her hair in a side ponytail (she still wears it that way now) and had that "look" on her face. Justin. Oh my goodness. He wore that orange Cars shirt everyday in school that year. And I mean every. single. day. I must have washed it one million times. He was so cute and chubby...aaaahhhh. I couldn't resist it...I had to take an "after" picture of my kids in this same exact spot 6 years later. It's so crazy to see how much they've grown!! Mr. Potato Head doesn't quite seem so huge anymore with the big kids in front of him! 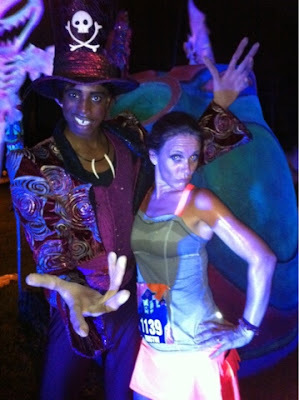 #NotSoScary and #Tower10Miler...Lace up your party shoes! During the Inaugural runDisney The Twilight Zone Tower of Terror 10-Miler Weekend, I just HAD to schedule in a night to go to Mickey's Not So Scary Halloween Party. It's a "Must-Do" at Walt Disney World and Disneyland Resort during the Halloween Season. If you have not ever been to this party, I highly recommend it! I've been several times now and it is one of my faves!! If you are attending the party, here are some of the events that will take place that you will NOT want to miss! -- Mickey's Boo-to-you Halloween Parade: This parade is led by the Headless Horseman, shovel-dragging Grave Diggers and lots of catchy Halloween music. How cool is it that the Grave Diggers were also on the course during the race?? 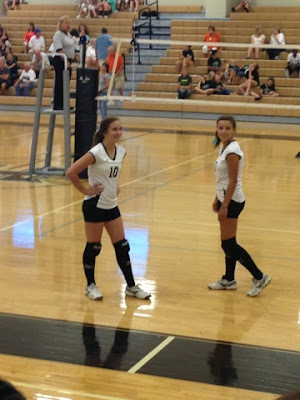 LOVED them!! Me and one of the Grave Diggers with crazy eyes!! --Halloween Decor: Magic Kingdom is decorated for Halloween! My gosh, could these Mickey Pumpkin Street Lamps be any cuter! TONS of festive photo opps during the Halloween season! --Hallowishes: The Mickey's Not So Scary Halloween Party Fireworks are just incredible!! These fireworks are not just your regular fireworks, they are orange, green and complete with Disney Villains...Spooky!! --Characters dressed in costume. Now this is just the cutest thing ever!! Mickey as a Scarecrow? Minnie as a witch?? Yes Please!! The guests are encouraged to dress up as well as the characters to join in on the fun! Even Duffy the Disney Bear put on his cute little pumpkin suit. Adorable. --Trick or Treating: Okay. Trick or Treating is not just for kids. I saw just as many adults (if not more), filling up their bags with candy. By the way, it was REALLY GOOD candy. Each Trick or Treat station was clearly marked with this lit up Mickey Pumpkin glowing light...very visible and just plain cute! -- The Cast Members! As always, the Cast Members really get "in" to their jobs and special events. This is me on the left during the day at Magic Kingdom with a Cast Member on Main Street, U.S.A that holds the balloons and this is also me on the right (later that same day) with the same Cast Member holding the balloons on Main Street, U.S.A. I love that he totally changed into his Party clothes and is ready to party the night away at Mickey's Not So Scary Halloween Party! **Will you be either running The Twilight Zone Tower of Terror 10-Miler or attending Mickey's Not So Scary Halloween Party?? Be sure to check the Disney Parks Blog, MyDisneyExperience.com and runDisney.com for more information on these fabulous events! Throwback to the runDisney Inaugural The Twilight Zone Tower of Terror 10-Miler! 21 more days until I am running with this super cool dude again and I cannot wait!!! Bring on the Villains....I'm ready for ya! 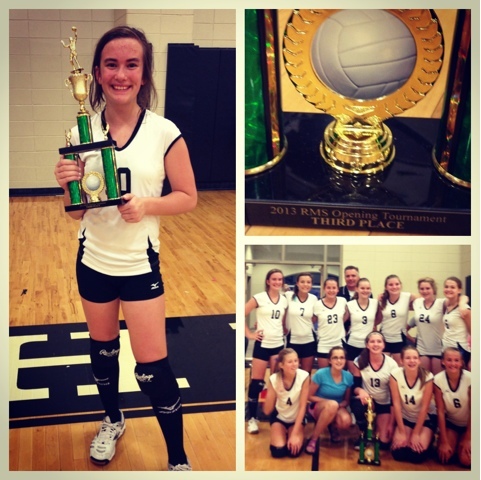 Congrats to my girl and her team...3rd Place! We spent ALL weekend last weekend at a volleyball tournament for my 8th Grader...EXHAUSTING, but really EXCITING! 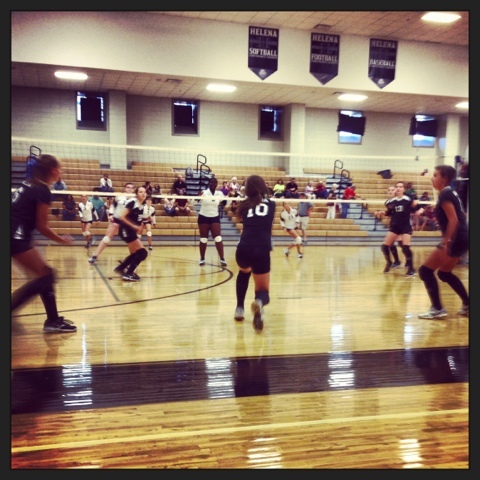 Both of my girls are on the Middle School teams, one on the 7th grade team and one on the 8th grade team. I think we have games every night of the week for the next 3-4 weeks. That is the exhausing part. Woah. 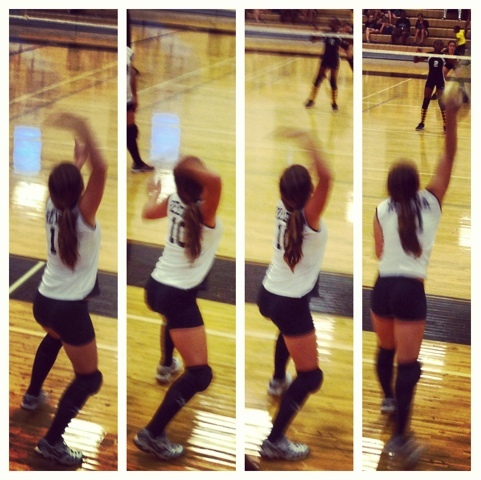 Love to watch her serve! I was sitting on the front row and got side-smacked with a ball right in the face coming at me one hundred miles an hour. I'm not kidding. It was faaaaassstttt. That ball smacked me upside the head. I haven't been right since Saturday. Hello. It's now Wednesday! Seriously?!?! Did this just happen??? I did manage to get an 11 mile Dopey Challenge training run in last Sunday...ON THE TREADMILL. Omg. I didn't want to stray too far from home though, just in case something were to happen from the hit. I've had a headache ever since the ball mishap that I just can't shake. Seriously?? Hit in the head?? I guess it's kind of funny. Maybe. I do like to laugh at myself but really, this might just be the DUMBEST thing that has ever happened to me. Back to my girl...I'm super proud of her and her team! They've come a long way from their 7th grade days and I can't wait to see how they finish off the season. They are off to a GREAT start! 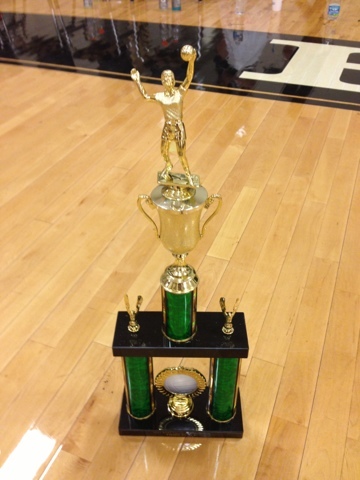 Congrats to the HMS 8th Grade Volleyball team! 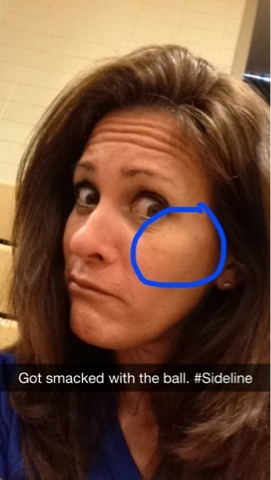 **Have you ever had a sideline injury?? Week 9 of my Dopey Challenge training was a struggle for me... Not because of the runs, there were only (3) 3 mile runs but because all of a sudden, we are BUSY at my house! School is back in, all three kiddos are playing sports and Mama is training for multiple marathons!! Woah. Just when I needed it most, runDisney presents a fabulous medal reveal for the rest of the 2013 races and some of the new ones for the 2014 season at the Disneyland Half Meetup. That was all I needed to see to kick it into high gear! They are all absolutely gorgeous and I want everyone of them!! I noticed that they even changed the design for the Wine Dine Half! It fits right in with other race medals! Beautiful! A little birdy told me that they are working on details for even more runDisney races...I can't wait to hear the official word!!! New RunDisney races?!?! Yes, Please!!! 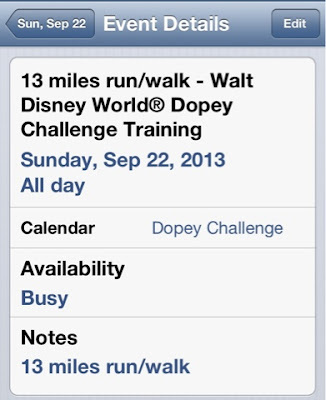 See my full Dopey Challenge Training schedule here. 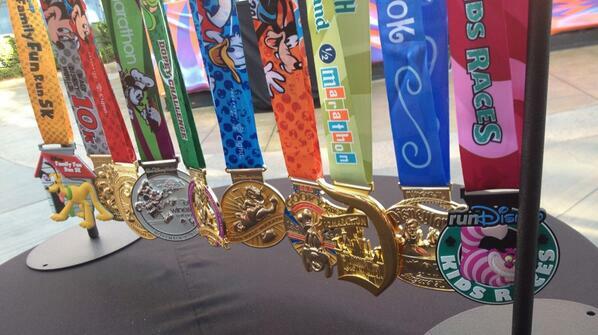 **Which of the new runDisney medals will you earn?